ISLAMABAD, May 25 (APP): Secretary General of South Asian Association for Regional Cooperation (SAARC), Amjad Hussain Sial has paid an introductory visit to Pakistan from May 22 to 24, 2017. According to Foreign Office statement here Thursday, during the visit he called on the President of Pakistan, Adviser to the Prime Minister on Foreign Affairs, and the Foreign Secretary. reiterated that Pakistan attaches great importance to the intensification of interaction among member states for the realization of SAARC objectives as enshrined in its Charter. He assured the Secretary General of Pakistan’s strong support for regional cooperation and urged the Secretary General to accelerate the pace of SAARC process. During the visit, the SAARC Secretary General also called on the Adviser to the Prime Minister on Foreign Affairs, Sartaj Aziz. The Adviser reaffirmed Pakistan’s commitment to regional cooperation under the umbrella of SAARC for promoting welfare of the people of South Asia and said that SAARC has a huge potential, which unfortunately remains untapped due to several challenges. 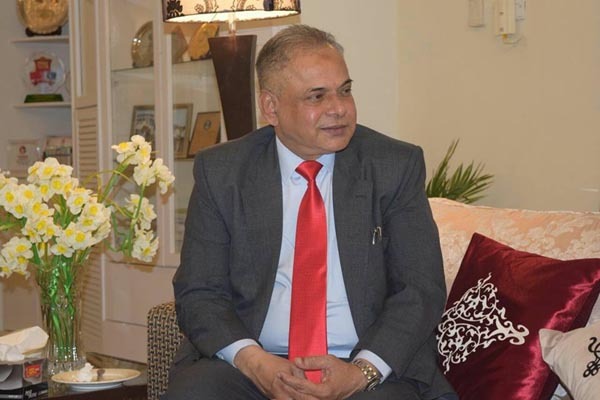 Amjad Hussain B. Sial, who assumed charge as Secretary General of South Asian Association for Regional Cooperation (SAARC) in March 2017, hails from Pakistan and is the 13th Secretary General of SAARC.